February 28, 2011 /Photography News/ To celebrate the release of his latest book Enchantment, Guy Kawasaki wants you to share your enchanting photos. 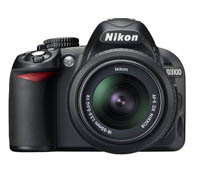 The entries that receive the most votes in each category (5 winners) will each win a brand new Nikon D3100. The entry that receives the most overall votes will also win a 16 GB Apple iPad (wi-fi). You must first "Like" the Enchantment page to access the contest application. Contest open to legal residents of the U.S. and Canada (excluding Quebec).